As of September 2014, I’ll be able to pull up to any location that has a power supply. The mobile Dj Booth is complete and ready to go. The Picture on the right is from the beginning stages. 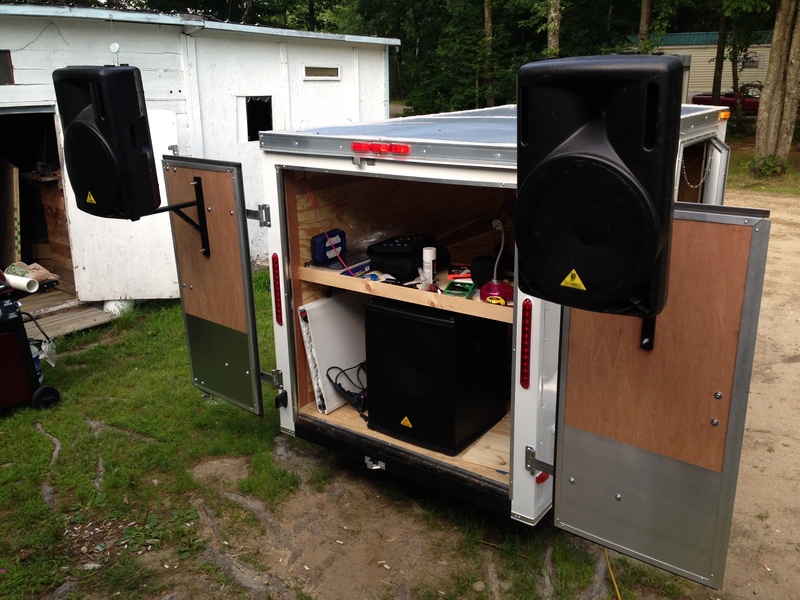 It has over 3500 watts of power coming off the back end of the trailer and it can be assembled in minutes to accommodate any outdoor party. Now booking for the 2015 season. 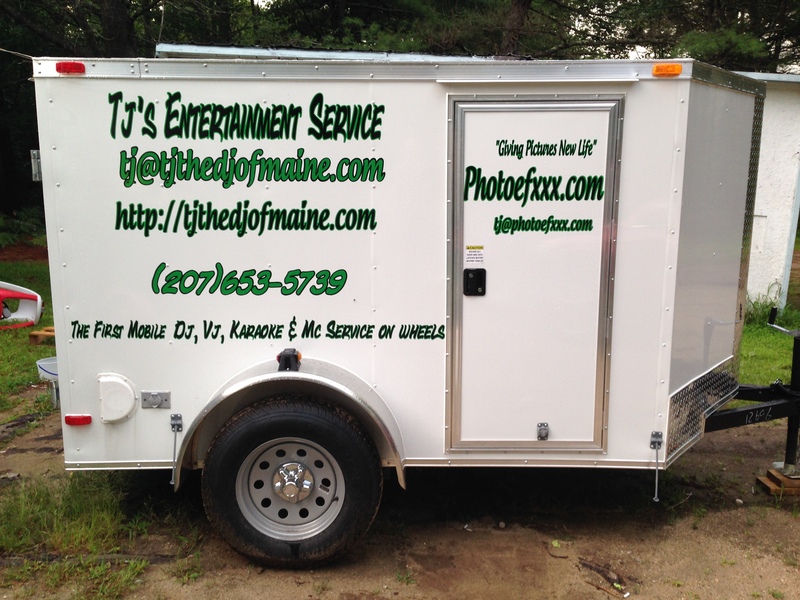 Call (207) 653-5739 for pricing info……..
More music added every Tuesday……………..